Windows 10 has became the most widely used operating system. Because of its simplified user interface. If you compare Windows 7 with Windows 10. Then, You will know that, Microsoft made tons of changes in user interface and features. But, one thing which is still same in almost all Windows version, that is Windows Explorer aka File Explorer. 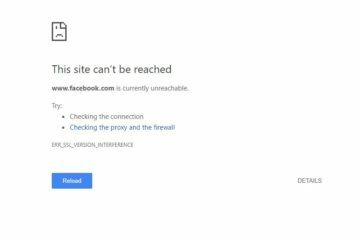 But recently, many Windows users experiencing problem with it. Windows explorer keeps crashing and getting freeze. And, users are getting an error message “Windows explorer has stopped working”. Though, there could be multiple causes behind this error. Because, Windows explorer is not only a file manager. It also presents user interface items like taskbar and desktop. 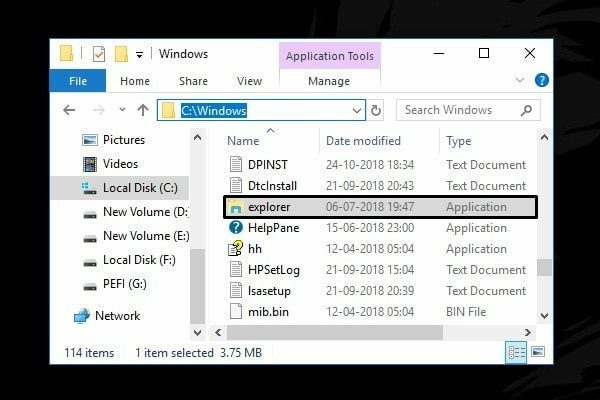 In most of the cases, some third party programs creates conflicts with Windows explorer. That leads user to Windows explorer crashing problem. But, don’t worry about it, because you can fix this problem by trying certain solutions. 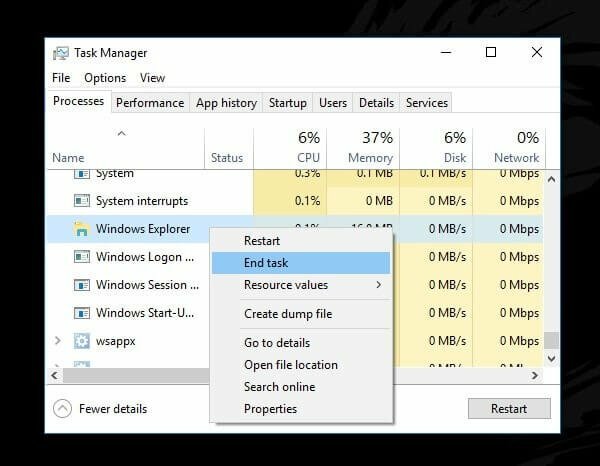 Here are some working solution to fix “Windows explorer keeps restarting and crashing” problem. 1 Windows Explorer Keeps Crashing. 1.4 Launch Folder Windows in a separate process. 1.5 Check for Windows Update. 1.6 Clear Windows Explorer History. 1.8 Copy Explorer in System32 Folder. 1.10 Check Disk for Errors. 1.12 Run Windows Memory Diagnostic. 1.13 Start Windows into Safe Mode. 1.14 Perform a Clean Boot. 1.15 Try Windows Explorer Alternative. As I mentioned, some software can create conflicts. Which can create problem with Explorer. If you have installed a third party file manager. Or, software to customize desktop. Then, you have to uninstall it immediately. I suggest you to open Control Panel > Click on Uninstall a Program. And, then check all installed Windows Program. If you found any suspicious program, then uninstall it. If you have installed some add-ons in Windows explorer. Then, it can slow explorer or can leads to Windows Explorer Keeps Crashing problem. 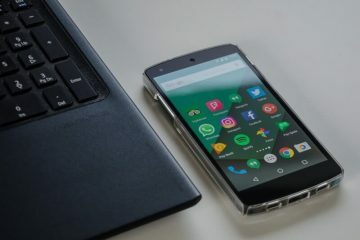 It could possible that, you haven’t installed any extension manually. But maybe, some other software did installed add-ons automatically to manage files. 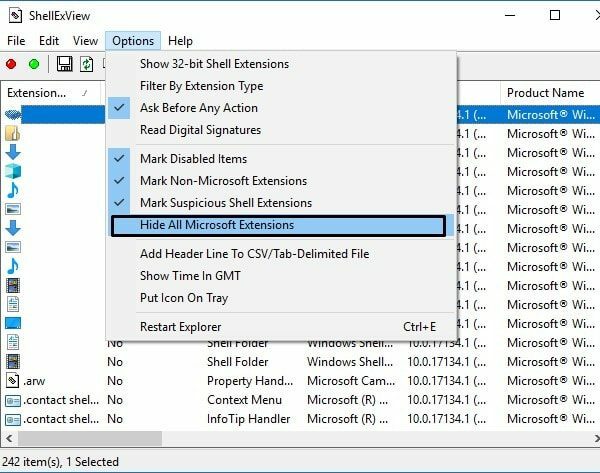 To disable all non-Microsoft extension. You can use ShellExView by nirsoft. It is an free tool. But, you have to download correct version of it. According to your system type. For example – my system type is 64-bit. That’s why, I have downloaded x64 version. 1. Extract shexview-x64 zip file using 7Zip. And, then run shexview application. 3. Now select all remaining extensions by pressing Ctrl + A key simultaneously. 4. And, then right-click on it and then choose “Disable Selected Items”. IMPORTANT : This option will disable all third party extensions. And, if Windows Explorer crashing problem gets resolved with it. Then, try enabling extensions one by one. To find out culprit extension or add-ons. If there are so many images in a folder. Then, thumbnails can crash Windows Explorer. Because, thumbnails or image preview takes time to get load. It makes Windows Explorer extremely slow, if you’re using HDD. To disable thumbnails and show icons. Follow these instructions. 1. Open Control Panel. Click on category and then select large items option. 2. 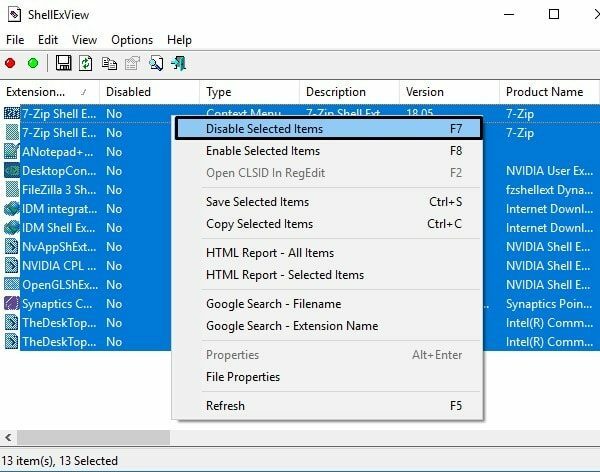 Click on “File Explorer Options”. 3. Click on View. And, then mark “Always show icons, never thumbnails”. 4. After that, click on apply, then click on OK.
That’s it. Now, Windows Explorer will not show thumbnails. Also, don’t forget to restart Windows to apply changes. Launch Folder Windows in a separate process. 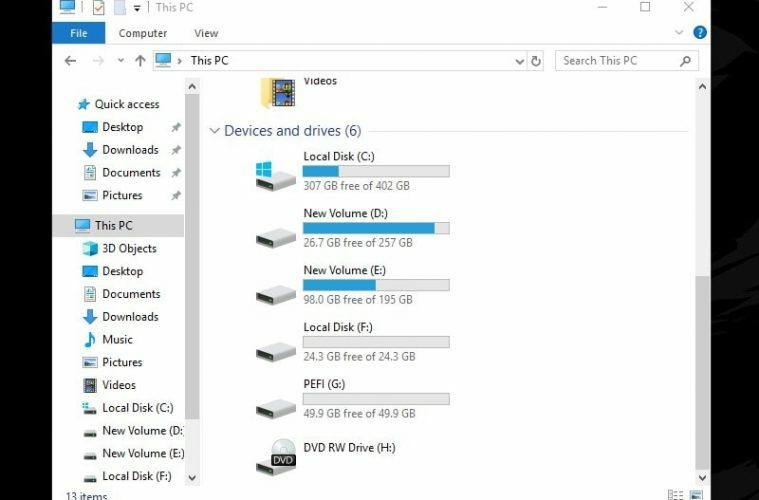 By default, Windows 10 open folders into a single process. Though, it’s good to manage Windows process effectively. But sometimes, these process could create conflicts. And, leads to windows 10 explorer keeps crashing error. 1. Open same File Explorer Options Window from Control Panel. 2. Click on View tab. 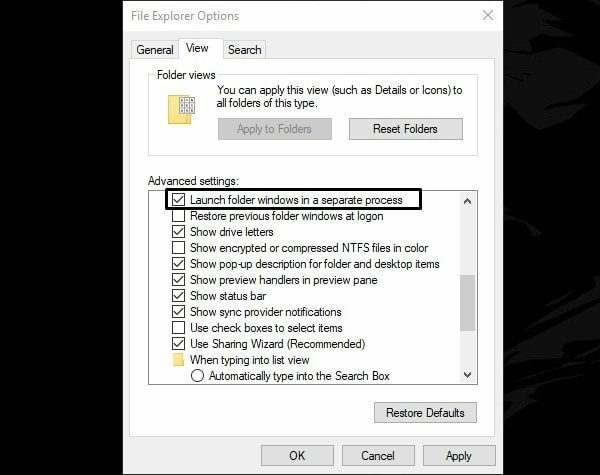 Scroll down a little and mark “Launch folder Windows in a separate process” option. 3. Click on Apply, and after that click on OK. Recently, In new version of Windows, Microsoft added few bugs fixes for Windows explorer. So, you have to make sure, your Windows is up-to-date. Open the Settings App in Windows 10 by pressing Windows + I key simultaneously. After that, click on “Update & Security”. And, then click on check for updates option. That’s it. 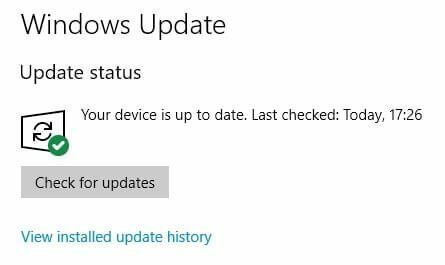 Now, Windows will search for available updates. And, then will provide you an option to download and install updates. Windows Explorer have a functionality to keep record of all recently accessed folder. But, if the recently accessed folder got infected. Then, explorer can react weirdly. Or, specifically i can say, Windows explorer keeps crashing problem can occur. 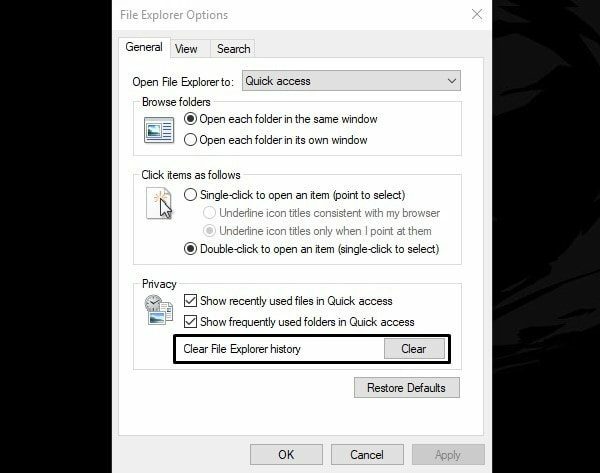 So, clearing explorer history could help you to fix this problem. Though, it doesn’t worked for many users. But, still, you can give it a try. And, just search for “File Explorer”. From search results, click on File Explorer Options. Now, under privacy section. You will able to see Clear option. Click on it once. And, explorer history will get erased immediately. After that, Click on OK. In most of the cases, restarting system can solve many problems. But to fix Windows explorer, you don’t need to restart Windows. 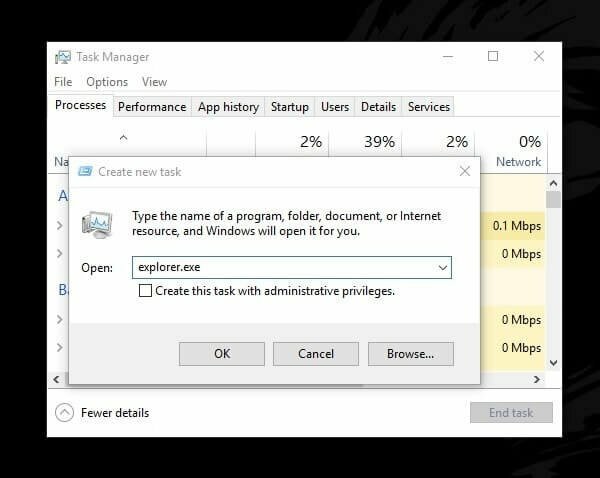 You can simply restart explorer using task manager. And, it will be enough to fix Windows explorer keeps crashing issue. 1. Right-Click on Windows Start button, and then click on Task Manager. 2. Now, if Windows Explorer process is running. And, showing in Apps section. Then, you can restart it easily by right-clicking on it. But, if you’re unable to restart it. Then, use End task option. 3. After ending explorer running process. Click on File > Run new task. 4. In create new task Window. Type explorer.exe and press enter. Or, click on OK.
That’s it. Now, Windows explorer will not crash. Until a program doesn’t interfere with its process. Copy Explorer in System32 Folder. If it’s an indexing issue, then you need to move explorer. Though, instead of moving it. I suggest you to copy it inside system32 folder. Many users was able to solve explorer crashing problem with this solution. So, I suggest you to give it a try. But, before trying out this solution. Make sure File Explorer is closed. Note: If Windows Explorer is crashing after a few minute of opening it. Then only, you can try this solution. 1. Open C:\Windows folder. And, then copy explorer.exe by right-click on it. 2. Now, paste it inside C:\Windows\System32 folder. After copying it inside system32 folder. Run explorer from the same system32 folder. It could possible that system files got corrupted. So, I suggest you to run system file checker scan. It will fix corrupted system files. 1. Click on start button search for CMD. From search results, right-click on Command Prompt. And then click on run as adminstrator. 2. In Comman Prompt. Type the following command. Type chkdsk C: /f /r /x in CMD and press enter. 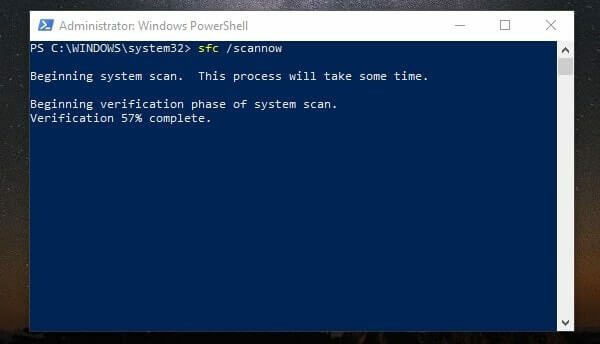 To confirm disk scan hit y and then press enter. /f To fix HDD errors. /r Used for locate bad sectors. /X To force drive to dismount before checking the disk. For DISM scan. Type these following commands one by one in CMD. And, press enter after each command. WMD is free memory test program. It will force BIOS to run comprehensive test on the memory. 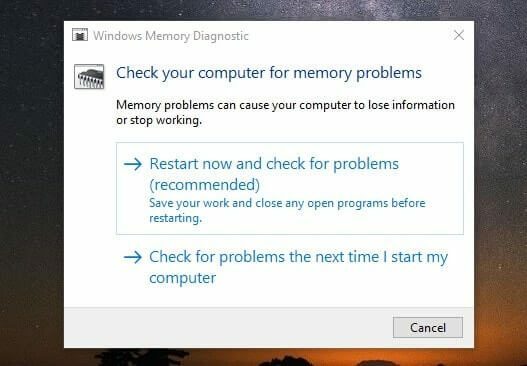 Click on start button and search for Windows Memory Diagnostic. Open WMD by clicking on search results. Click on “Restart now and check for problems”. That’s it. Computer will get restart and look for memory problems. After testing memory you can check results inside Event Viewer. Go to Control panel > Administrative Tools > Event Viewer. From left side, click on Windows Logs > System. Now from right pane select “Memory Diagnostics Results” to see the test results. Start Windows into Safe Mode. This is the best solution, that you can try. It is an diagnostic mode of Windows OS. It only allows essential program and services to start. So, if in safe mode Windows is working fine. Then, you can perform a clean boot. Which will allow only useful Microsoft services to get run. And, will terminate all non-Microsoft services. 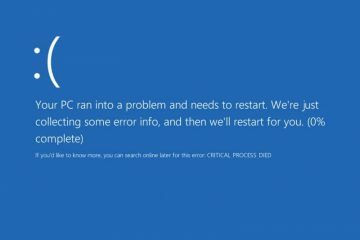 Which will help you to fix Windows Explorer Keeps Crashing problem. 1. Open Run Window (Press Win + R key. ), type msconfig and press enter. 2. 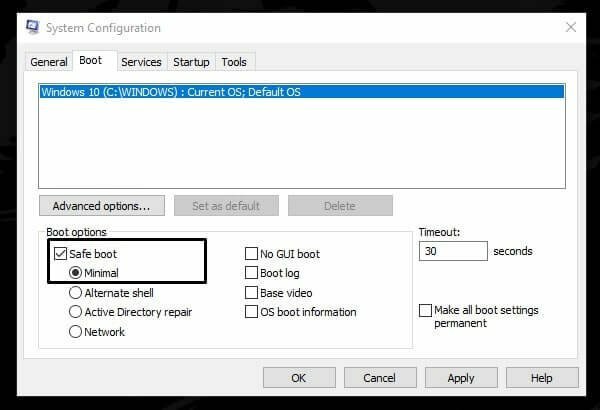 Click on boot and mark safe boot option. If you need internet in safe mode. Select networking option. And, then click on apply then OK.
Click on restart button. To boot into safe mode. To exit from the safe mode, open same configuration window. And, this time unmark safe boot option and then apply changes. 1. Open System Configuration window. 2. In general tab, Click on selective startup. And, unmark load startup items option. 3. Click on services tab. 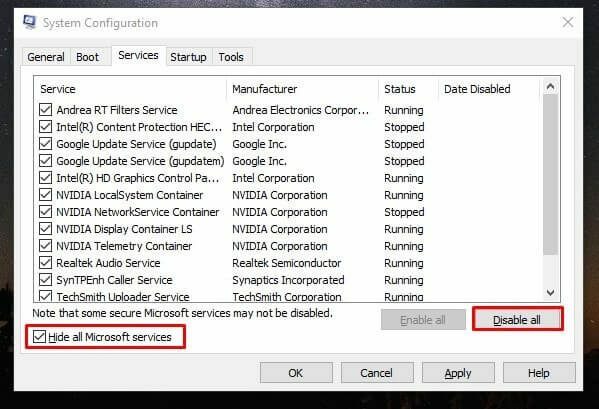 Mark “Hide all Microsoft services” option. Click on disable all. 4. Click on startup. And then click on open task manager. 5. Now, disable all startup items one by one. 6. Click on Apply. Click on OK. And, then restart Windows. Hopefully, this solution will fix Windows explorer keeps restarting problem. 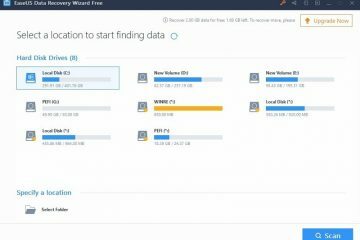 If File explorer doesn’t work, even after trying these solutions. Then, you can try alternative. There are many Windows Explorer Alternative available, which you can try. 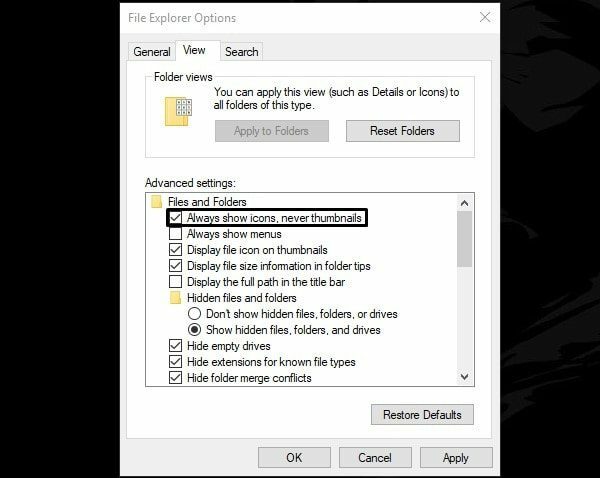 Personally, I suggest you to use explorer++. It comes with similar interface and advanced features. 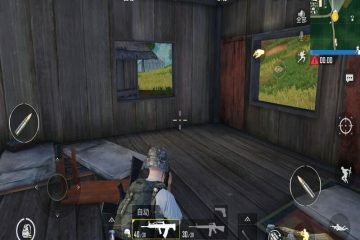 Previous ArticleHow to dual boot PrimeOS – Play PUBG Mobile in PrimeOS. Next ArticleGIF Wallpaper Windows 10 – Set a GIF as your background. How to fix, unfortunately Camera has stopped – 9 Solutions.